I am delighted to introduce you to my friend Barbara. You may remember her from visits she's made in the past - telling the rescue story of Zeus the cat, remembering her beloved dachshunds Auggie and Billy, and introducing her pet family: Oz the dachshund, Zeus the cat, and guinea pigs Radar and Magenta. 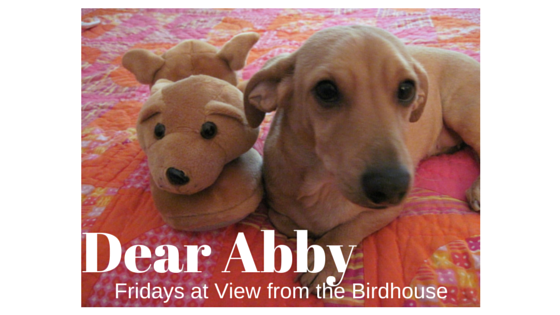 Abby: Barbara, thank you for visiting. 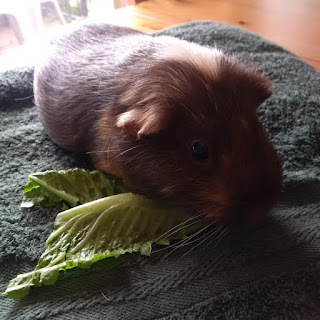 How did you begin your pet related collection? 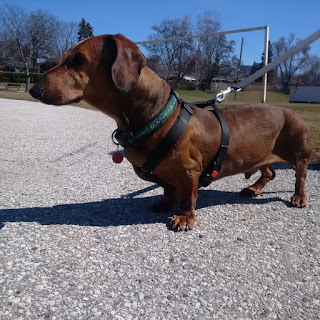 Barbara: Our first dachshund, Auggie, joined our family in February 1995. 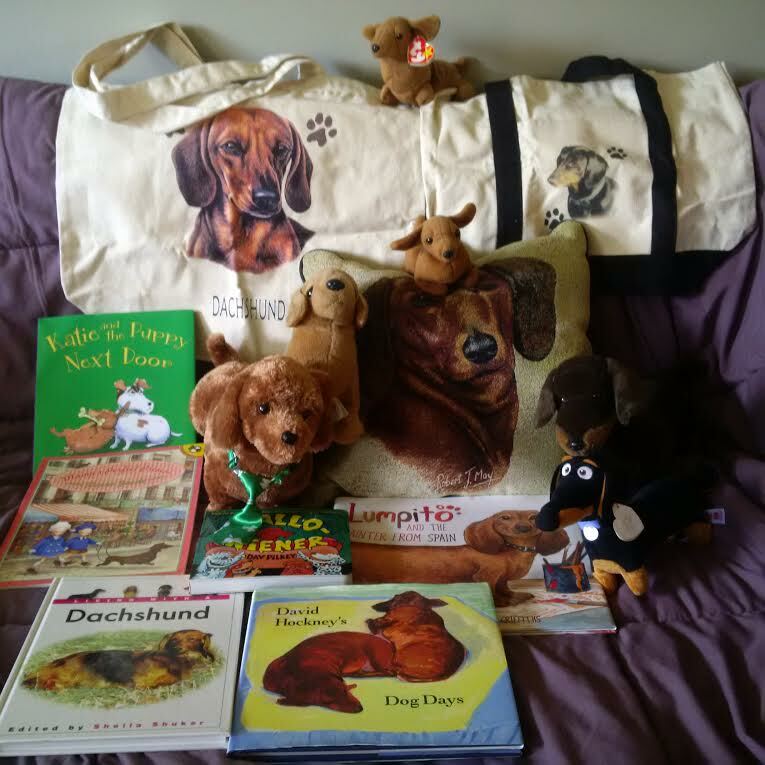 Shortly after his arrival my passion for collecting "all things dachshund" started. At first it was just the odd thing here and there. 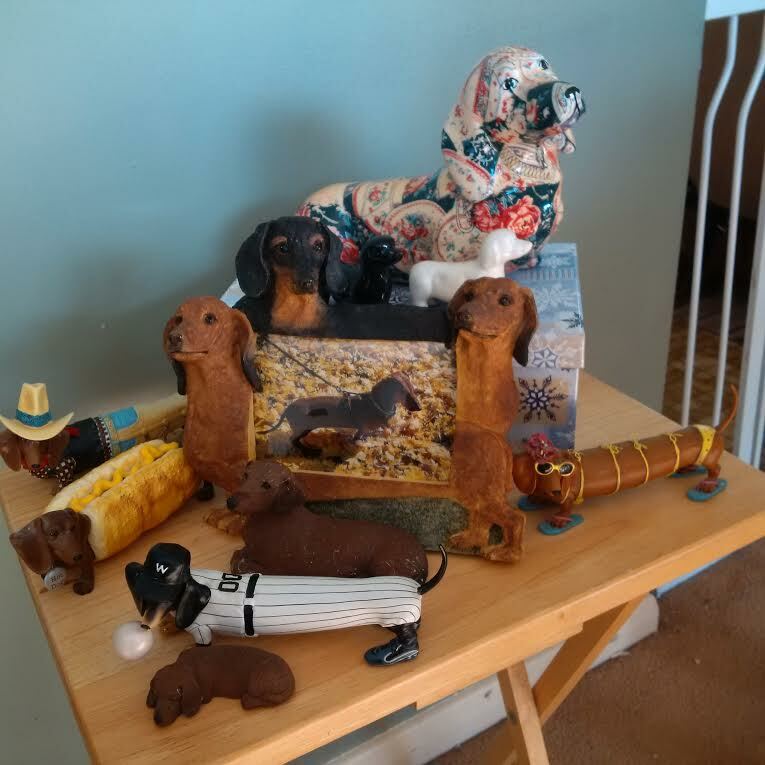 Dachshund items seemed more difficult to find at that time. 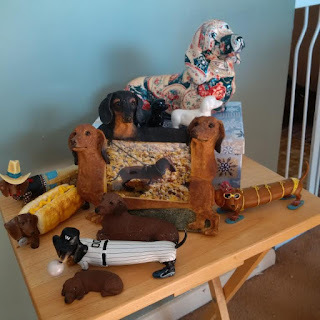 Over the years my love for our big red long dogs grew, as did my collections. I am always on the hunt for something new. 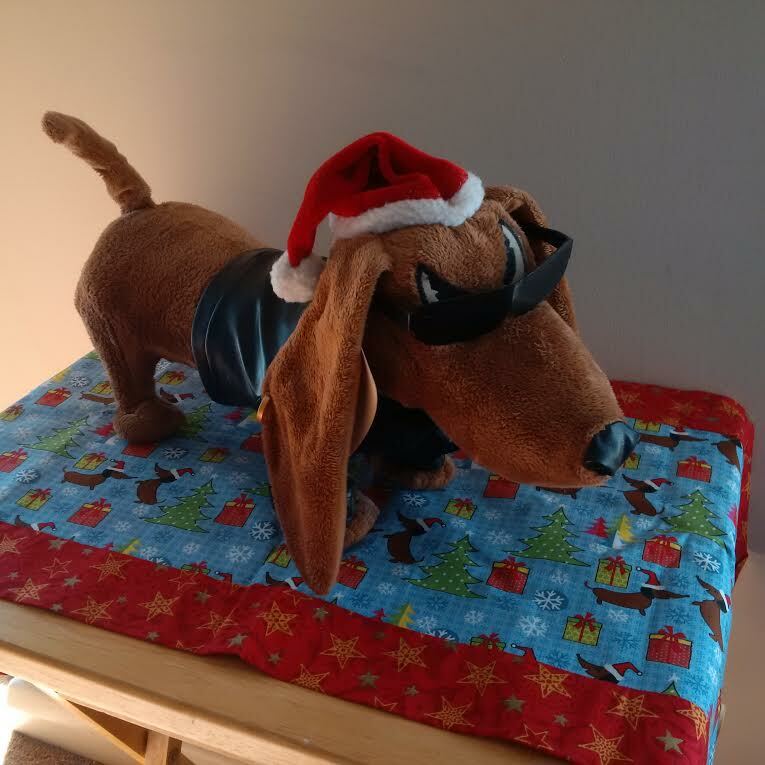 But, now friends and family also contribute dachshund treasures for holidays and special occasions. It might not be the most organized of collections, but we are surrounded by bits and pieces all through our home. No matter where we stand there is a dachshund sharing our space. Whether they bark or just represent our much loved canine family members, they always make me smile and help to brighten the darkest of days! Abby: Oh, I like that! Very well put. What do you collect? Barbara: Everything tastes better when served in a dachshund mug. 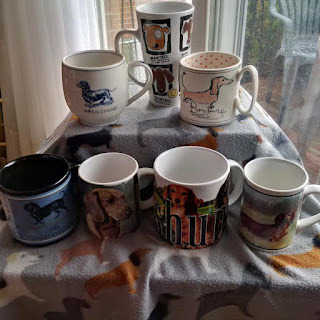 True confession: I always take my biggest dachshund mug with me when we travel and stay in a hotel. I like to enjoy my morning coffee and afternoon tea this way! Many of these special treasures were given to me by friends and family. They all hold a special place in my heart. Here is one of our most loved dachshund treasures! This is Low Rider. He is an all time favourite in our family. When you push a button, he plays the song after which he was named. His body moves up and down, his head nods and his tails wags. No one can watch without smiling and laughing. He might be meant for Christmas, but he stays out in our dining room all year long! 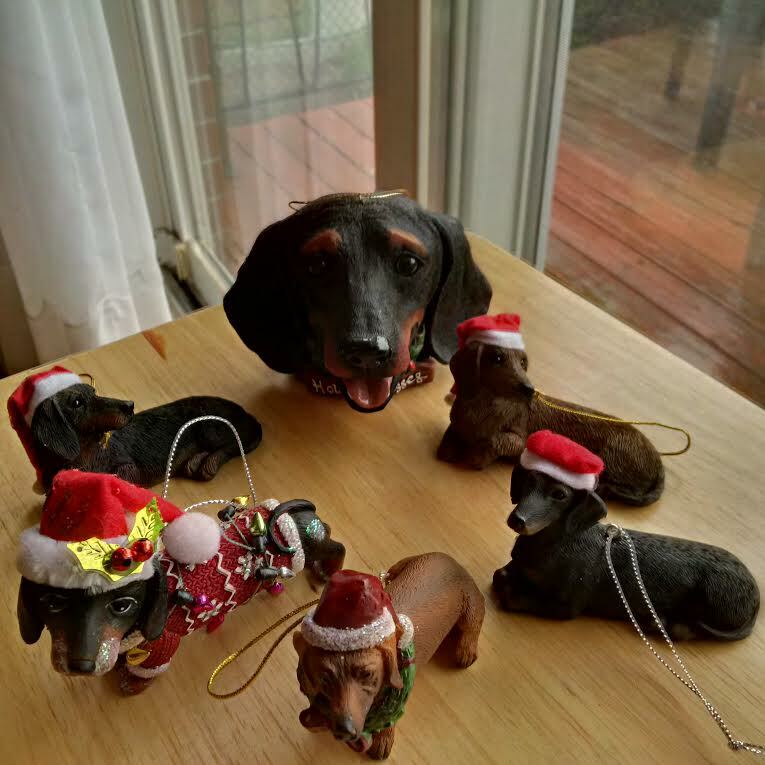 I have seen people on social media who have dachshund ornament themed Christmas trees! So far this is my collection, but I hope to find more. Every year I scour the shops, but this is all I have found so far. They are always placed front and centre on the Christmas tree though. Books, bags, stuffies and even a cushion! Never too many and I love them all! Here are a few items that are representative of our other pet family members, guinea pigs Radar & Magenta, and kitty Zeus. Guinea pig collectibles seem harder to come by. Our kitty collection has just begun! 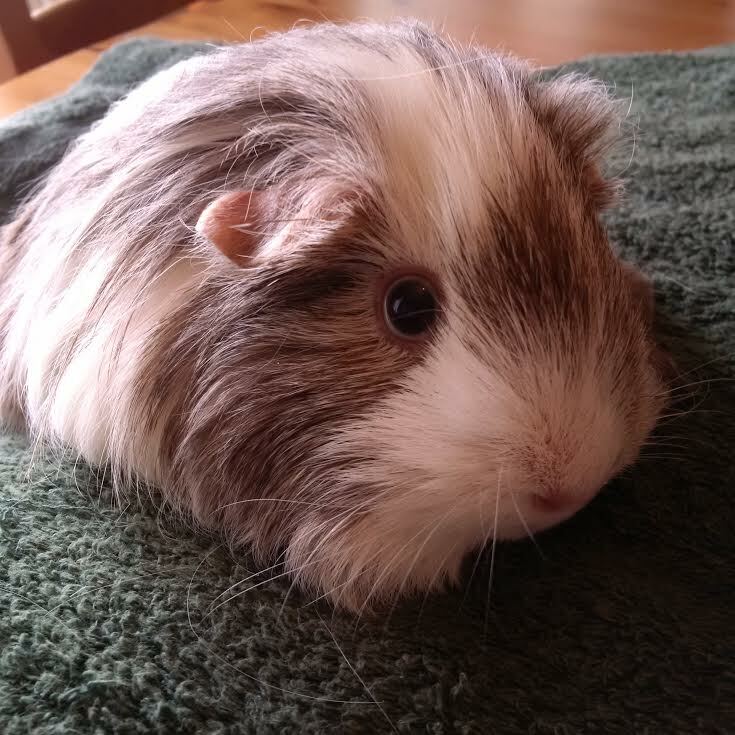 Abby: Thank you so much for visiting, Barbara! I really loved seeing your collection. 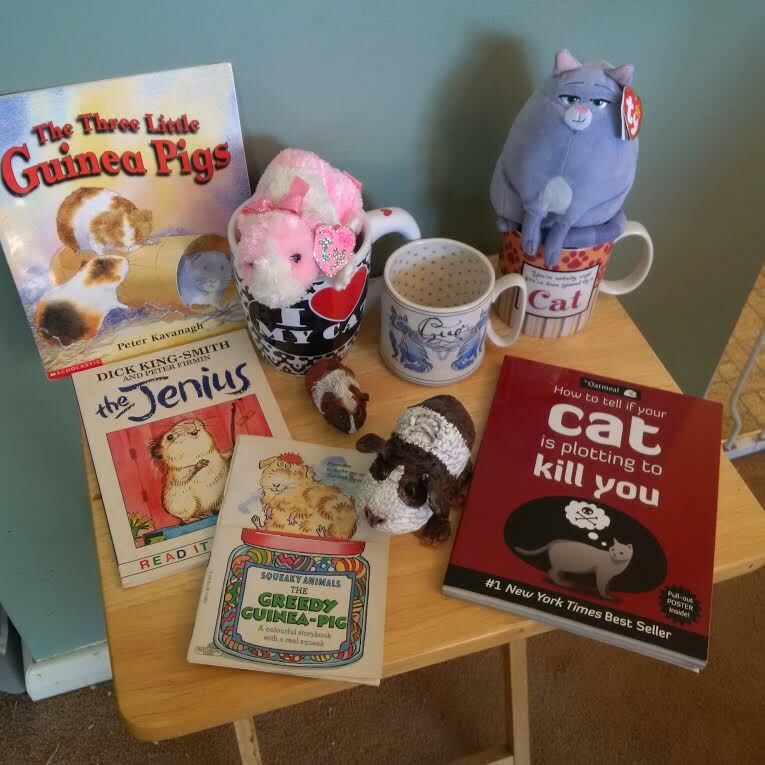 You have a great variety of pet treasures. 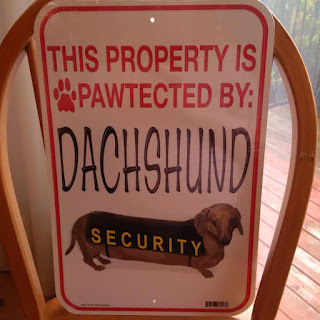 I have to admit, I especially like the fun Low Rider dachshund! 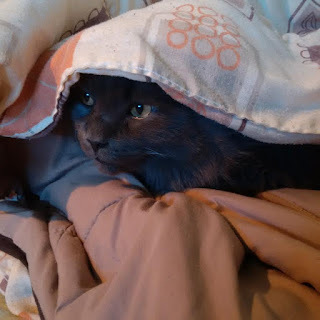 I can't resist adding photos of Barbara's beautiful fur kids.